Natural wood often need to be painted for protection or effect. Choosing the right product can prolong the life of the wood as well as greatly reduce future maintenance costs. As wood contract and expand with temperature fluctuations, which can be substantial if the wood is in direct sunlight, therefore I would prefer not to paint it with solvent based enamel. Most solvent based enamels cannot expand and contract as much as the wood, and thus cracks and peel with extreme temperature which allows water to seep into the cracks. This forms a chain reaction with the wood soaking up the water and the paint start to peel. 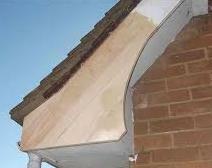 This can often be seen on fascia and barge boards and can be quite a task to remedy properly. For this purpose we recommend a good quality roof paint, which is not only UV resistant, but flexible and weather-proof and contract & expand with the wood, preventing cracks from forming. It is water-based and therefore easier to apply and it is available in white and a whole range of standard colours. Roof paint can also be tinted to almost any colour, but expect to pay a price for deep colours. Once wood is painted with a good quality roof paint, it is fairly easy to maintain and overcoat and the maintenance is relatively low. Please note that another cause of flaking barge and fascia boards is insufficient priming (sometimes none at all) of the new wood when it is installed the first time. Often wood is primed in the front, but not at the back and over the years water gets in and cause the paint the peel. Therefore it is advisable to prime all wood surfaces (front & back) properly before the initial installation. If you are building a new house, please ensure your builder use a good quality primer on the back and front of all wood to be painted. As discussed in fascia & barge boards, wood expand & contract with extreme temperature fluctuations and therefore, it is not ideal to coat any large surface which is exposed to direct sunlight with a non-flexible enamel coating. There are several enamels on the market which will work, for many different applications. There are very good water-based polyurethane enamels like Duram Nuglo which is ideal for certain applications. If the wood is not exposed to direct sunlight, most quality solvent based enamels will suffice. However, it is always best to get advice from a professional in the field before deciding on a product most suitable for application and that will meet your needs. All our quotes are detailed and specific products is mentioned for specific applications. Call us today for advice that suits your specific Painting and Renovation needs and budget. Our team will advise you on the best possible solutions for your particular applications or renovations. 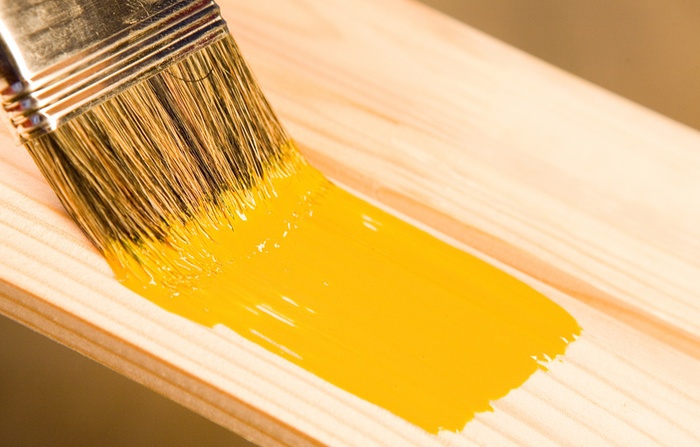 What Is Eco Friendly Paint?